The aim of the new law is to "educate, deter, rehabilitate and nurture," rather than to punish, says foreign minister Dato Erywan. News 12 April, 2019 . Written by Cassia Gaden Gilmartin. Dato Erywan, foreign minister of Brunei, has defended his country’s new sharia penal code – which threatens gay men with death by stoning, and lesbians with forty lashes of a whip – in a letter to the United Nations. In the letter, Erywan claims that the law threatening gay men with execution “focuses more on prevention than punishment” and aims to “safeguard the sanctity of family lineage and marriage.” He explains that the death penalty will rarely be applied and that any capital cases will require a great deal of evidence. 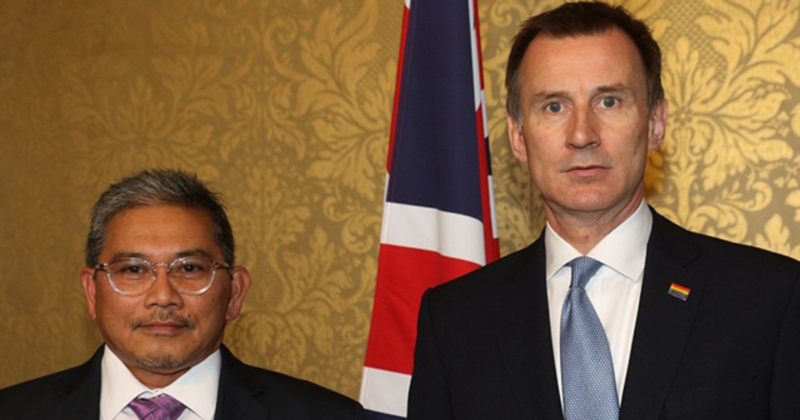 In a meeting with UK foreign secretary Jeremy Hunt, Erywan said again that executions of gay men are “unlikely” to happen in practice. Meanwhile, international opposition to the sharia penal code continues to escalate. Celebrities including George Clooney, Ellen DeGeneres and Elton John have called for a boycott of the Brunei-owned Dorchester Collection hotel chain, and a demonstration outside London’s Dorchester hotel last weekend drew hundreds of protesters.